According to the LA Times, the iconic 1978 slasher flick was shot on a budget of $300,000 over 20 days in southern California. Starring Jamie Lee Curtis in her first major role, Halloween takes place in the fictional Haddonfield, Illinois (named for Hill’s birthplace in New Jersey), where deranged sanatorium inmate Michael Myers (Nick Castle) goes on a babysitter killing spree in his hometown. 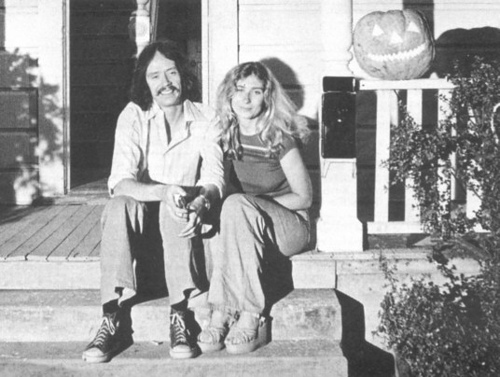 Hill claimed that she wrote the “babysitter” side of Halloween while director and composer Carpenter focused on Myers and his psychologist Dr. Loomis before merging their two stories together into the classic film we know today. Carpenter’s name is inextricably linked to Halloween - he’s even producing a 40th anniversary follow-up with Curtis to be released in 2018. But it’s important to recognize that a female screenwriter (noted by Wikipedia as “Carpenter’s then-girlfriend”) was responsible for shaping the characters of Laurie Strode and her ill-fated friends. Though the film has frequently been labeled as anti-feminist thanks to its “final girl” trope and supposed moral commentary on female promiscuity, Hill told Entertainment Weekly that she laughed off critics who saw the film as chauvinistic. Producers of The Debra Hill Documentary began raising funds for a project on the filmmaker’s life in 2015, writing on Facebook that “Halloween was just the beginning.” Carpenter told the Associated Press after her death, “She had a passion for not just movies about women or women's ideas, but films for everybody - horror films, action films, comedies." No disrespect to Mr. Carpenter, but I think Hill understood that movies "about women or women’s ideas" are films for everybody. Top Photo: Hill featured in Life Magazine. Bottom Photo: Carpenter and Hill.